The Purchase Plus Improvements mortgage is a great option for many people looking to purchase a home that may need some cosmetic upgrades and have limited down payment resources. They get credit for the increased home value right off the bat. They get to complete the upgrades right away and live in the home they made their own. This program is available at the best rates, both fixed and variable, and may help to make it easier for you to decide which home is best for your family. Any improvements that are approved by the lender will be added to your mortgage, but the money to be used for improvements is held at the solicitor’s office until the work is complete. Clients often borrow for the short term or have help from a parent, family member to “float” the costs until the improvements are completed. Once the contractor or company completes the work, simply provide the paid invoice. An inspection report from an appraiser MAY BE required when all is done so the lender can confirm that the work was completed and is of good quality. How much can I add to my mortgage? The amount allowed for improvements is typically 10 – 20% of the purchase price, or up to $40,000 maximum. The money is to be used for “improvements” or “upgrades”, not necessary repairs like leaks or structural issues. It must be for something that adds value to the home, not a chattel like appliances. Improvements we see most commonly get approved are a new kitchen, bathroom, and or flooring renovation. What does ‘as-improved’ value mean? Add the amount of the quote(s) to the purchase price and this becomes the “as-improved” value of the home that the lender and mortgage insurer considers. The lender is now treating your mortgage as if you were buying at the ‘as-improved’ value, so your down payment will need to be higher. Let’s say you bought a home for $400,000 and proposed $40,000 of improvements and have 5% down payment. The as-improved value would be $440,000. If you bought for $400,000 without improvements, your down payment at 5% would be $20,000. With $40,000 improvements, the new down payment will be 5% of $440,000, which is $22,000. What is the timeline for all of this? You need to get quotes for the cost of the improvements that you wish to complete WELL BEFORE your closing date. How long do I have to complete the improvements? The work should being as soon as possible. 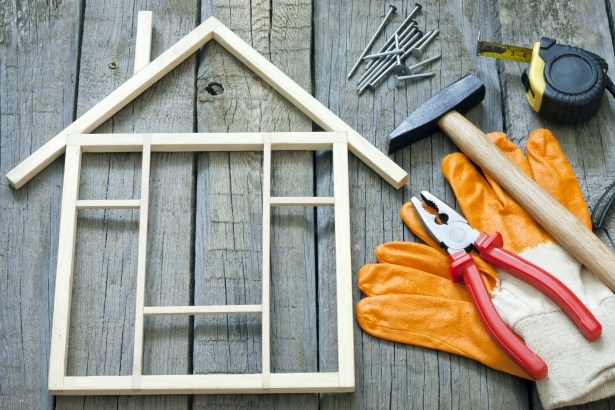 Lenders expect you to complete the work between 3-6 months after your closing date. What if my improvements end up coming in over/under? Contractors often quote high. If the final costs end up being less than quoted, the left over money is applied back against the mortgage. If more, the original approved amount is all that will be disbursed, no new funds or overages will be considered. S. Boyce & Associates Ltd. License #10195 :: © Personal Mortgage Group, 2017. All rights reserved.